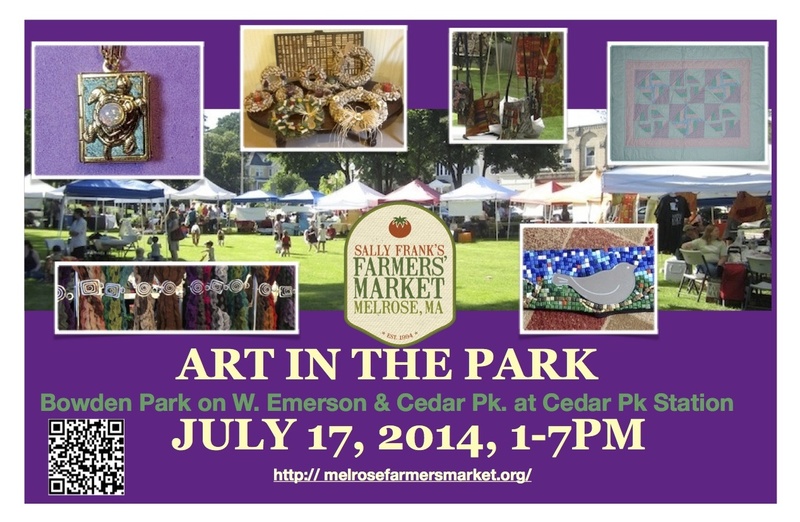 Art in the Park dates are July 16 and August 13, 2015. 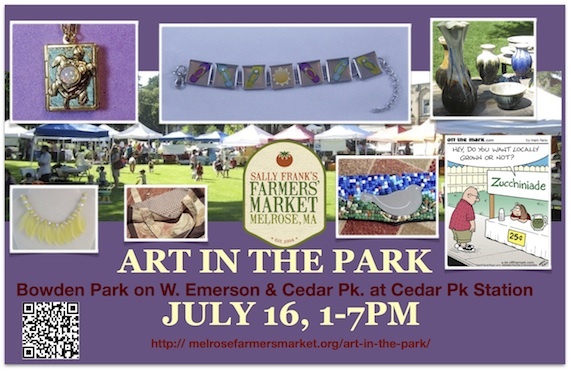 Go to Become a Vendor to be an artisan or crafter at this year’s Art in the Park or up to 2 other dates at the farmers market. Beauty and the Bean, Erika Stanton makes Tote bags, childrens hats, pouches, diaper bags, toys (soft balls and stuffed bunnies). Erika works with her daughter as a team and looking to spread their love for high quality homemade products. They believe in creating unique bags and children’s’ products that will stand out and have people ask “where did you get that?” All of our products are 100% handmade by us and are cruelty-free. Gin Did It, Ginny Howland makes baby quilts which are handpainted in primary colors in whimsical themes. She will also bring coordinated night lights. and her “boat baby” collection to this market. Gracie’s Gunnies – market bags made up of burlap, canvas, interior decorator, upholstery, vintage & cotton fabrics in various sizes. In A Stitch Studio – Ashley Guarnotta Huynh makes an assortment of different style hats (some character resembled) for newborns to adult. Ear warmer/headbands, scarves, cowls, blankets, baskets, shrugs, baby booties, and small plush toys. Knit ‘n’ Things – Mary Ridings makes knitted items- scarves, kids pocket books, iPad covers, desk cloths, pot holders, wine bottle covers, coasters, bath mats. etc. Leigha Ashlee Designs – Ginny Bowman makes designer bags for the fashion conscious forward thinking person. Pauline’s Trendy Totes – Pauline Viens, from North Reading, makes travel accessories many many styles and prints. All bags are made of double-sided quilted cotton material. They are washable and should be air dried. Coordinating pieces make great gifts for any occasion. New items include a “Hanger Hideaway”, an envelope shoulder purse and more! Sarah’s Originals, Sarah Atanasov sews placemats, table runners, aprons, bibs, pillows, cloth books, wristlets. Two More Minutes – Stephanie Theisen makes tote bags, zipper pouches, aprons, napkins, iPad cases, chalkboard mats, bibs, key chains, and quilts. You will find useful, handmade items made from gorgeous fabrics. Germination – Earrings and necklaces handcrafted with seeds and other natural and artisanal components. Ginny Remedi Designs, Spirited jewelry from a wide range of styles and media – all her own original work. Adornments include earings, pins, rings, pendants, barrettes, bracelets. Recycled Glass – Carolina Portillo makes recycled fused glass jewelry & accessories. Handmade from recycled and reclaimed materials. Bracelets, pendants, earrings, trays, etc. Carolina appreciates the opportunity to create something new, meaningful and artistic out of recycled materials that might otherwise go unused. This is a cornerstone of her eco-friendly approach, aiming to create art that is both pleasing to the eye and unique at the same that it also treats the environment with respect. Story Teller Jewelry, Raelinda is a jewelry artist with whimsical, fantasy designed jewelry. 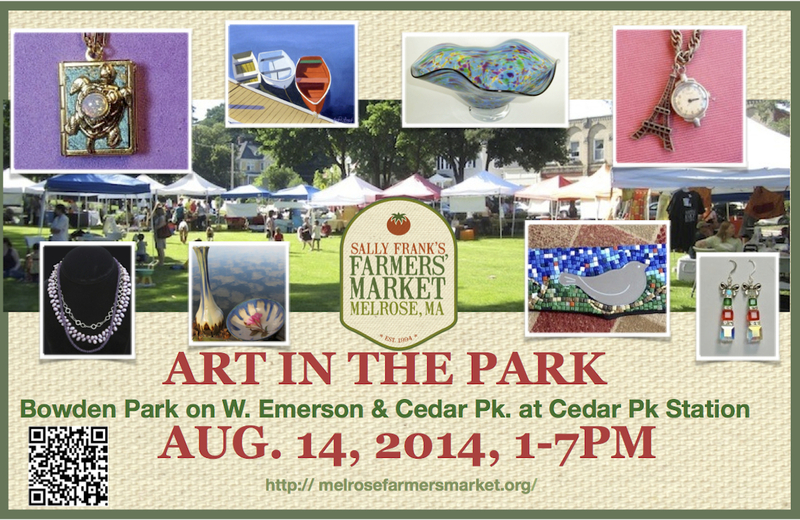 … At the Beach, Darlene Grady Duggan is an artist that enjoys sketching and painting. She also makes bezel bracelets and keychains / bag clips, many of which are made from or inspired “At the Beach” along the east and gulf coasts of the US. All About Corks – Beverly Short brings her cork wreaths, boards, trays, cages, etc. Adam Richards Work that stems from pop-culture, several different mediums. All About Corks , Bev Short creates cork products, such as, candle wreath boards and wine cork cages of different types. Art by Constance Festo Lafond– a water color artist with an impressionist style. She has collages made from her original work. Photographs of flowers made into 5×7 note cards. Publish an annual calendar of floral photos. Guilday Glass – Patricia and Peter Guilday make stained glass suncatchers, panels, ornaments, magnets and seasonal items. Their unique stained glass pieces are made with shells, bead glass, glass gems and wire work. Design of Mine – Vintage chic repurposed jewelry – upcycled. Handmade flutter shawls. Knit ‘n’ Things – knitted items- scarves, kids pocket bokks, iPad overs, desk sloths, pot holders, wine bottle covers, coasters, bath mats. etc. Stone Street Tye-Dye – Unique tye-dyes, beautiful ty-dye twists and flames. They specialize in creating hadn designed infants, kids & adult clothing with guitare, peace signs, sharks, hearts, ice cream cones, dogs,, smiley faces, skulls. They also created their own line of head bands and and bandannas. Two More Minutes – useful, handmade items made from gorgeous fabrics. Veresbrina Jewelry, custom-designed handmade necklaces and bracelets. Unique beads and combinations. Gemsones, unusual chains, vintage components & premium crystal. Pete’s Pottery, Peter Carnevale has been a potter for 10 years. He creates vases, bowls and pitchers. He’s developed more than a few tricks to creat unique and beautiful work. Beehive Paperie – greeting cards, stationery sets, paper goods, gift items Melissa Giordano uses high quality papers, ribbons, and embellishments, and crafts uniquely designed greeting cards, stationery and gift items. Her paper goods combine her passion for color, texture, pattern, and detail. See her work here. Art by Constance Festo Lafond – a water color artist with an impressionist style. She has collages made from her original work. Photographs of flowers made into 5×7 note cards. Publish an annual calendar of floral photos. Cygnet Sure Cards & Gifts, Debbi Collar will have note cards, magnets, bookmarks & reusable bags. Mary Ridings, Mary offers knitted ruffle scarfs and other knitted items. Sarah’s Originals, Sarah Atanasov sews placemats, table runners, aprons, bibs, pillows, cloth books, wristlets. Quilts Uncommon Penny Young will bring her hand dyed, quilted artwork and jewelry. All About Corks, Bev Short creates cork products, such as, candle wreath boards and wine cork cages of different types. Cygnet Sure Cards & Gifts, Debbi Collar will have note cards, magnets, bookmarks & reusable bags. Deck The Fridge!, Sandy Panico has hand made kitchen magnets including flower pot magnets and also has Christmas ornaments, and miniature block board plaques, all food for kitchen and home use, gift items for all occasions. eGlassyLady, Ellen Garvey is a glassblowing artist. Hola Mama Bowtique, Charlotte Daher offering handmade baby goods including headband, clips and more. JJ Artworks>, JJ Long creates original oil paintings and handmade giclee prints. Teeny Billboards, Judy Truedson creates original cartoons. Peter’s Pottery, Peter Carnevale has been working with pottery for about ten years. He’s always audacious with whatever he creates and is never afraid to take the clay to it’s limits. All About Corks, Bev Short creates cork products, such as, candle wreath boards and wine cork cages of different types. Cygnet Sure Cards & Gifts, Debbi Collar will have note cards, magnets, bookmarks & reusable bags. Deck The Fridge!, Sandy Panico has hand made kitchen magnets including flower pot magnets and also has Christmas ornaments, and miniature block board plaques, all food for kitchen and home use, gift items for all occasions. John Maciejowski Fine Art, offering paintings and prints. KC Styles, a handmade jewelry and accessory business. Nativa Designs, Jessika Jahnsen with artisan handmade jewelry. Raelinda Woad, Raelinda is a jewelry artist with whimsical, fantasy designed jewelry. Swarovski Crystal Jewelry, Tracy Smith designs and creates jewelry using swarovski crystals. Her pieces are for fashion forward women who are looking for artistically designed jewelry. The Bead Lady, Pam Newman making jewelry with beads. Joyful Crystals, Claudia Johnson’s custom and ready made jewelry.